Goumi is believed to be a native of China and Japan from where it spread to other parts of the world. 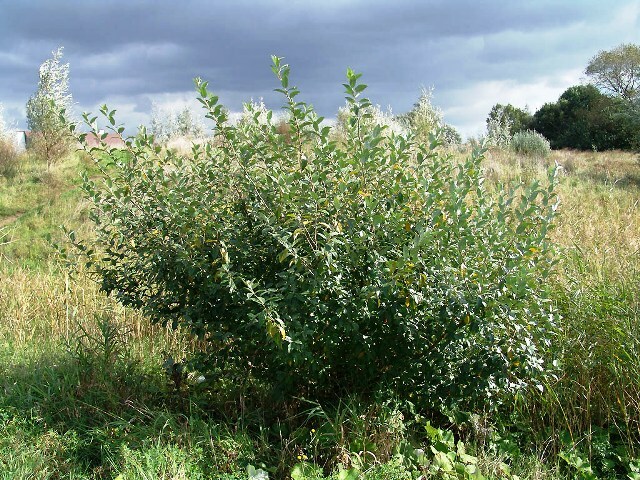 It has been under cultivation since very long and is occasionally grown in Europe and North America as an ornamental plant and sometimes also for its fruit. It is naturalised in parts of the eastern United States. Though the fruits are edible and tasty too, but still it is grown mostly as an ornamental plant because of its very attractive fruits. 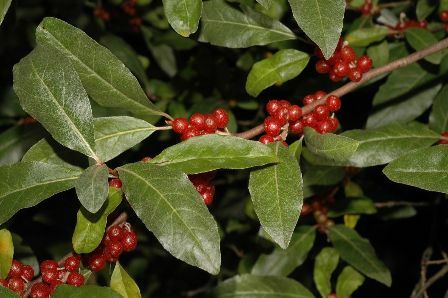 A deciduous or semi-evergreen shrub or small tree growing to 2-8 m; trunk up to 30 cm wide; bark dark brown; shoots are densely covered in minute red-brown scales. Leaves ovate to elliptic, 3-10 cm long and 2-5 cm broad, green above, and silvery to orange-brown below with dense small scales. Flowers are solitary or in pairs in the leaf axils, fragrant, with a four-lobed pale yellowish-white 1.5 cm long corolla; flowering is in mid spring. Fruits a round to oval drupe, 2.5 cm long, scarlet coloured with silver specks, very showy. The fruits are juicy and sweet. The fruits contain a dash of astringency, but that imparts a more characteristic pleasant and unique taste. The fruits, if picked slightly early, can also be made into a jelly, jam, used in pies and also pickled. 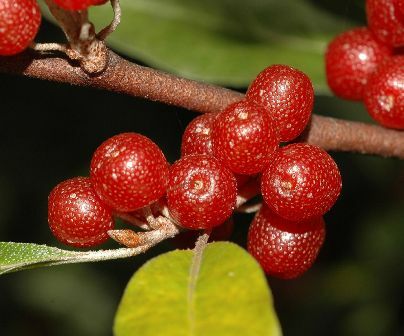 Goumi berries are a very good source of vitamins A, C and E.
Chinese people believe that the fruits are very useful for health. According to them, goumi fruits decrease cholesterol and have many other medicinal qualities. Goumi is a very fast growing plant. 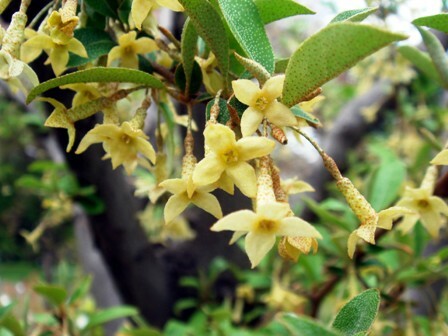 It is a quite hardy shrub and can grow even under dry locations. However, it has to be planted at sunny locations for best results. Goumi is a bit difficult to propagate. The seed might take even two years to come out. So, the best way to raise new plants is from cuttings. But the young plants once established, grow at a quite fast rate. This plant also does not have any pest or disease problem. Goumi plant is a profuse bearer. A mature plant can yield 7-8 kg fruits.